Topsides engineering for complex offshore facilities can be difficult due to the numerous factors that can affect payload and design layout. Integrated design principles and best practices, such as open communication, are essential to project execution while minimizing costs and optimizing return of investment (ROI). Audubon Engineering Solutions has demonstrated such expertise on the Delta House floating production system (FPS) project. LLOG Exploration Company (LLOG) needed a modular, topsides design that was flexible and dependable. 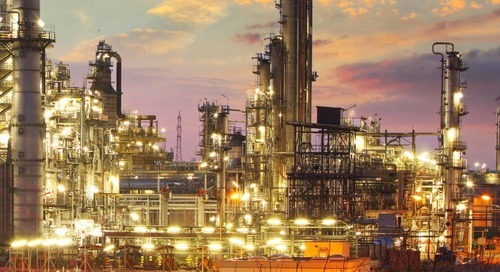 The company contracted Audubon Engineering Solutions to perform the topsides engineering design, which also included services such as procurement, cost control management, construction management support, integrated scheduling, commissioning, and drafting using the latest version of Plant Design Management System (PDMS). The scope of work involved verifying that the expected payload requirements of the processing and utility equipment of the semisubmersible hull design is feasible along with an additional 500-tonne payload required for future equipment. Audubon Engineering Solutions used an integrated, “one size fits most” design given LLOG’s design parameters. During the design process, new pressure-volume-temperature (PVT) data indicated that a condensate stabilization system was necessary to meet the oil sales pipeline RVP requirements due to a large volume of Natural Gas Liquids (NGLs) predicted to be produced. 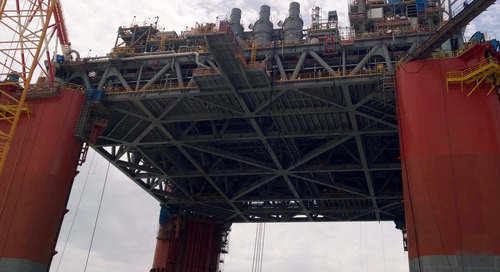 Audubon Engineering Solutions implemented an aggressive weight management plan, understanding that the weight and center of gravity of the topsides production facility is important for several scenarios including platform lift, transportation and installation. The team actively engaged vendors, equipment fabricators and the integration contractor, Kiewit Offshore Services (KOS) to ensure the design remained within allowable tolerances. The design flexibility, procurement coordination and expedition, and consistent communication with project contributors provided by Audubon Engineering Solutions helped to deliver the Delta House FPS project on schedule.